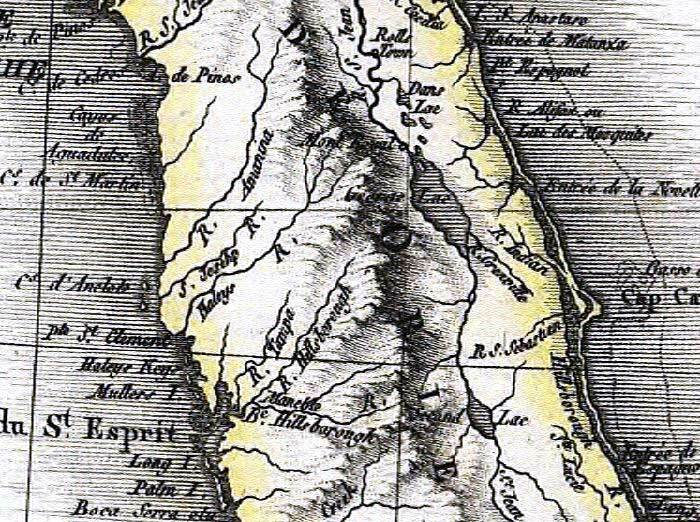 Description: A detail from the 1806 map of the West Indies showing the Spanish territory of central Floride Oriental, or East Florida. This map shows coastal features, major lakes and rivers, and settlements. Relief is shown pictorially.